Arnold Giammarco, a lawful permanent resident born in Italy and brought to the states by family at four-years-old, led a typical American life. He grew up in a close-knit family in the suburbs of Connecticut and enlisted in the Army in 1976, following in the footsteps of his grandfather, who fought for the U.S. in the First World War. 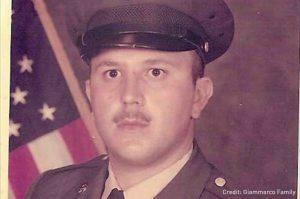 By 1979, he was a member of the Connecticut National Guard, eventually achieving the rank of sergeant. But the 60-year-old veteran and restaurant manager was deported to Italy in 2012, after spending 18 months fighting to stay with his wife and daughter in the U.S. from the confines of an overcrowded detention center. Giammarco was placed in mandatory detention for a petty crime he had already served a sentence for after his green card renewal application triggered a red flag with U.S. Citizenship and Immigration Services. Over 440,000 legal and undocumented immigrants are detained each year throughout America’s vast system of more than 200 immigration detention centers, where scheduling a bond hearing in front of a judge is not automatically guaranteed. Countless immigrants and asylum seekers spend months, or even years, behind bars while awaiting a decision from a judge regarding their status. In many cases, immigrants acquiesce to deportation after attempting to navigate a costly and outdated immigration detention system. On Wednesday, the Supreme Court began hearing oral arguments for Jennings v. Rodriguez, a case brought by American Civil Liberties Union lawyers demanding a six-month detention maximum before immigrants must be brought before a U.S. judge for a bond hearing. The shift in policy would allow immigrants like Giammarco, who the Solicitor General’s office views as flight risks or dangerous threats to society, to go back to their families and fight their cases from home. But Giammarco no longer has a home. "The only family I have in Italy doesn’t speak to me, they say, 'you can’t be deported from America for petty crimes,'" he told International Business Times. 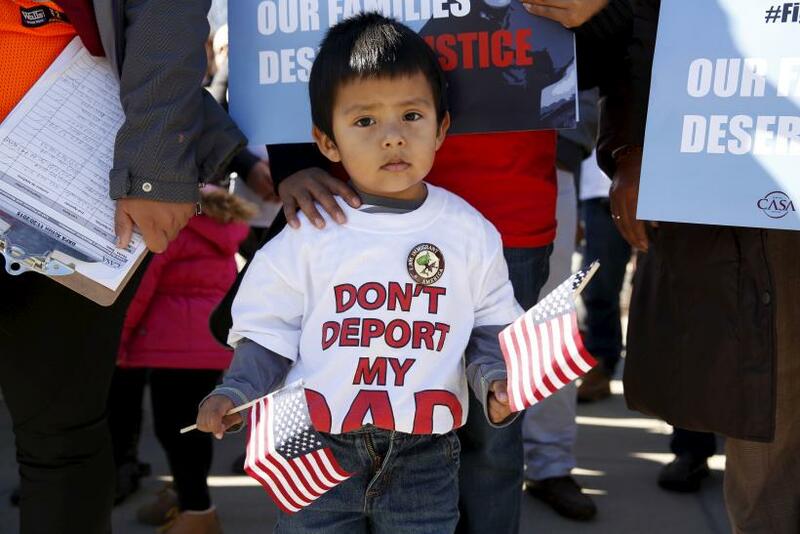 "Most people have no idea people like me, who pay their taxes, who have served their country, who have never harmed anyone, are deported every single day." Like many Americans, Giammarco’s life went through a rough patch: his first marriage fell apart and he quickly went into a downward spiral, becoming addicted to cocaine and getting arrested for drug possession and petty larceny. After serving 5 months for his crimes in 2007, he picked up and moved to another town in Connecticut, where he met his second wife and had a daughter a year later. The couple got married on July 4, 2010 – Giammarco's 50-year anniversary living in the U.S. With his new job providing enough money for his wife to attend night school and sobriety giving him a new perspective on life, Giammarco's American Dream was finally starting to take shape. So when Giammarco spotted three unmarked police cars with immigration officers arriving at his housing complex one Saturday afternoon in 2011, he didn’t have any idea they were there to deport him. "I said to my sister, 'something must be going on inside the complex,' but they started running toward me, shouting to get on the ground," Giammarco said. "I complied and asked them what was happening, but they wouldn’t answer. They said, 'we'll tell you on the way.' When I arrived, they told me I was going to be deported for the shoplifting charges I had already served time for in 2007." Just a few weeks before being detained by immigration authorities, Giammarco reapplied for his green card while applying for a license. His lawful permanent residency status was renewed and his application for a Connecticut license was approved. But the application process caused his name, along with past crimes, to appear on U.S. Citizenship and Immigration Services’ computer systems. He was quickly placed in mandatory detention so a judge could review his situation and make a decision regarding his status as a permanent resident. By the following Monday, Giammarco was transferred to the Bristol County Immigration Detention Justice Center in Massachusetts. Upon arriving, authorities said he'd go in front of a judge within a week. But that didn’t happen: Giammarco went two months without ever seeing a judge, and when he finally arrived for his long-awaited court date, he said he was introduced to an impersonal and belittling process of going through court proceedings as an immigrant in mandatory detention. "The first time I went to the judge, he asked if I needed a translator," Giammarco said. "I told him I didn’t, that I was a military veteran who had been living in this country for 50 years. He didn’t seem to even look at all of the documents he had right in front of him that painted a picture of my life. All that happened that day was that I was told I’d need to come back. Over a month later, the same judge asked me the same question, then delayed proceedings once again. That same thing happened a third time months later." For many immigrants experiencing indefinite detention, Giammarco’s case is all too familiar. 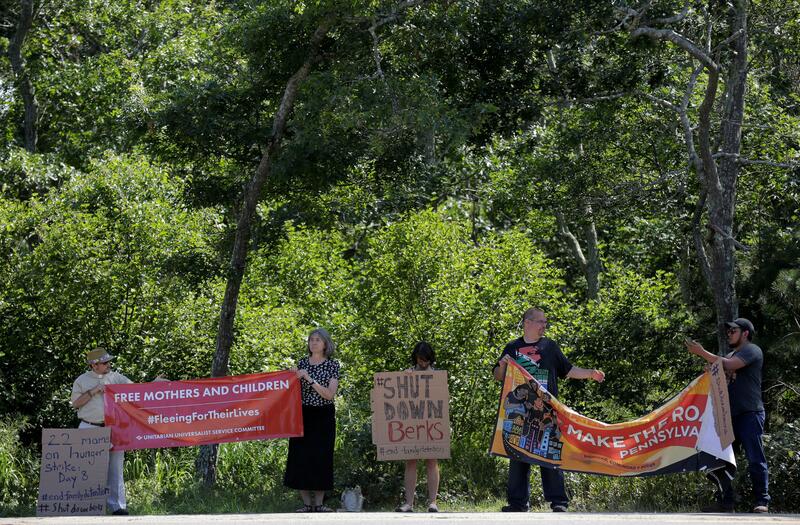 The burgeoning immigration detention system is part of what The Hill described Monday as "the Obama administration’s legacy: a well-oiled detention and deportation machine." There are over 45,000 immigrants sleeping in America’s detention centers on any given night. Conditions are bleak, described as "prison-like" by critics who point to windowless rooms with bunkbeds and outdoor steel cages where immigrants are typically only allowed a single hour of natural sunlight. "My wife and daughter used to drive an hour and thirty minutes each way the first few weeks I was being held," Giammarco said. "We had to hire a lawyer, and with gas being so expensive and our daughter being a toddler at the time, the visits became once a week when we realized this was going to go on. After using most of our money fighting the system, I wasn’t even able to continue calling my wife and parents. Phone calls cost $2 a minute." The overwhelming majority of immigrants held in detention centers who are eventually given bond hearings are not considered flight risks or threats to their communities. Nearly 70 percent of immigrants who go up before a judge are allowed to post bail and leave their detention center. The Supreme Court determined Congress maintains the right to impose mandatory detention for immigrants in 2003, though that decision was made after justices reviewed false statistics from the Justice Department that said the average detention lasted just four months, US News & World Report reported Tuesday. "Thousands of immigrants are locked up each day, including green card holders facing quite minor crimes and even asylum seekers who willingly give themselves to authorities at the border while attempting to flee gang violence or persecution," said Michael Tan, a staff lawyer for ACLU on the Jennings v. Rodriguez case. About 86 percent of immigrants who posted bail returned for their second court appearance, a report published in September by Syracuse University in New York found. However, the Solicitor General's office views absconding as "a serious problem," according to a court filing Solicitor General Donald Verrilli wrote in May. "It is a statistical certainty, moreover, that some of those criminal aliens will abscond and that some will commit further crimes that detention would have prevented," he continued. But for immigrants like Giammarco, America is the only home they know. "Where would I go? I'm an American, Connecticut is the only home I've had my entire life," Giammarco said, who has been living in Italy since he was deported in 2012. "I've spent all my money hiring a lawyer and fighting to stay with my family. Where do they think I plan on running to?"